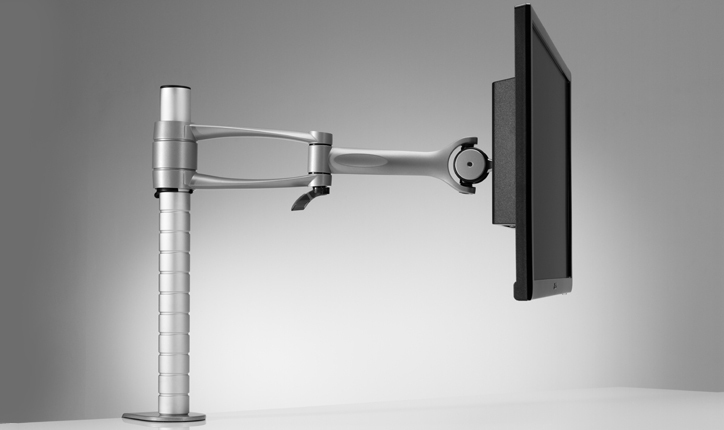 The Visidec is the ideal ergonomic and space saving desk mount for any home or office. 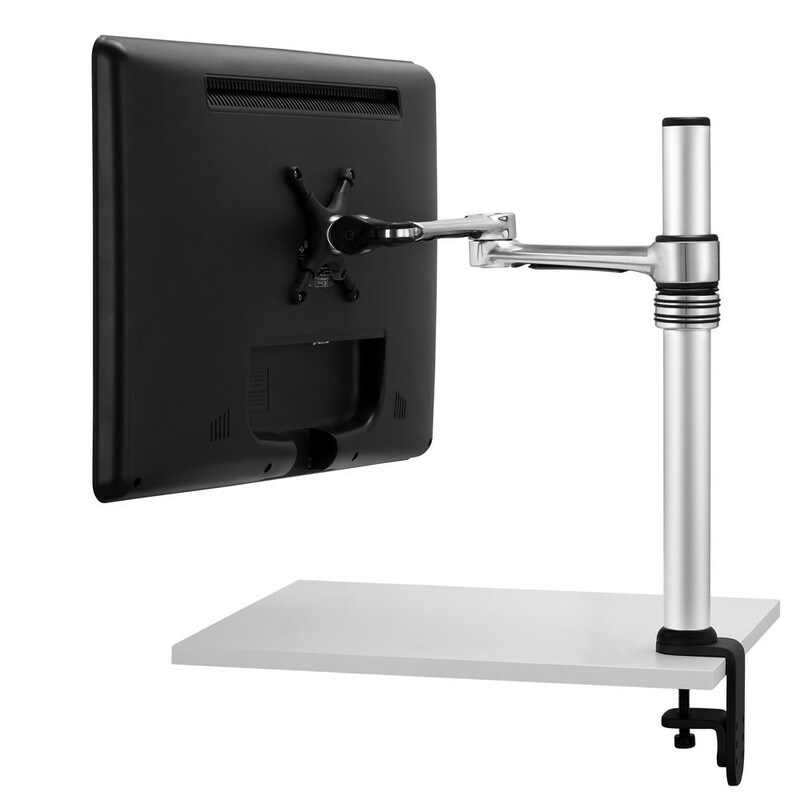 Its elegant design and silver or satin white finish add style and functionality to any workspace. 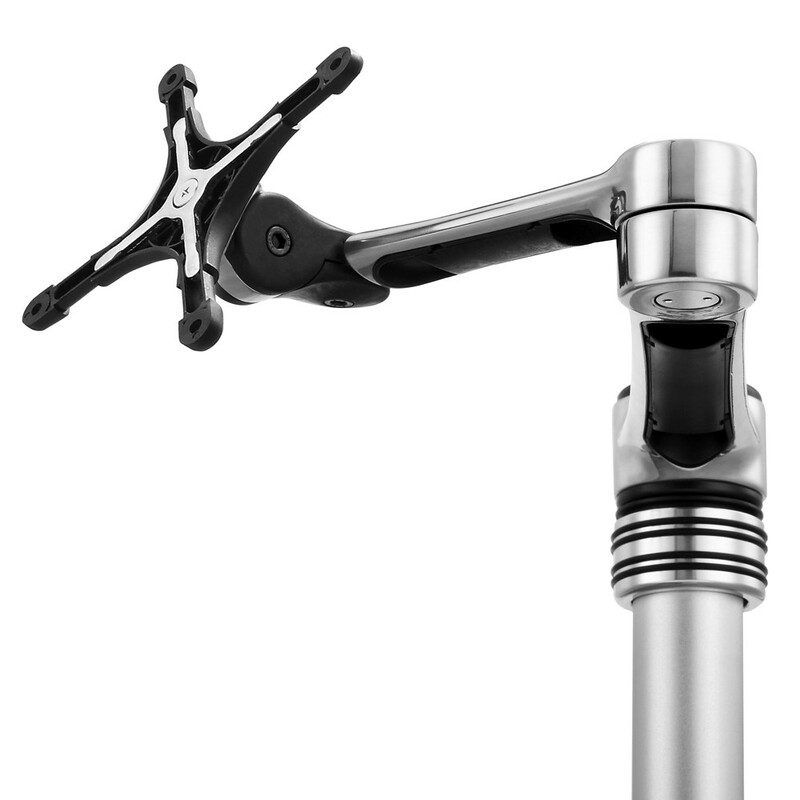 The broad range of movement from the pivot points on the arm and height adjustability create a workspace customisable for any user in any position. 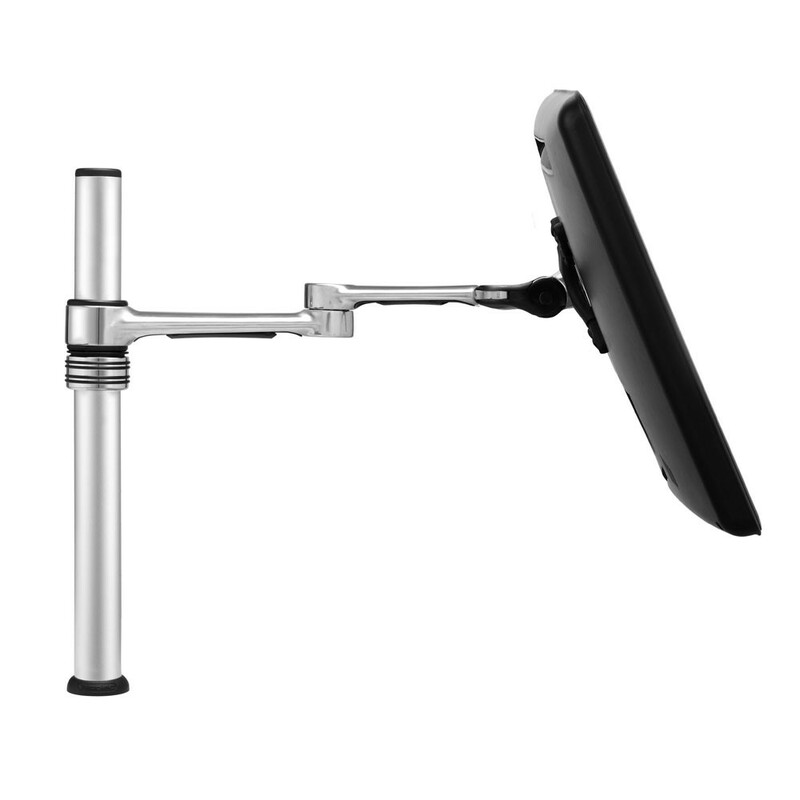 The screen can be pulled out 413mm for the ideal focal length and rotated 360° around the pole. 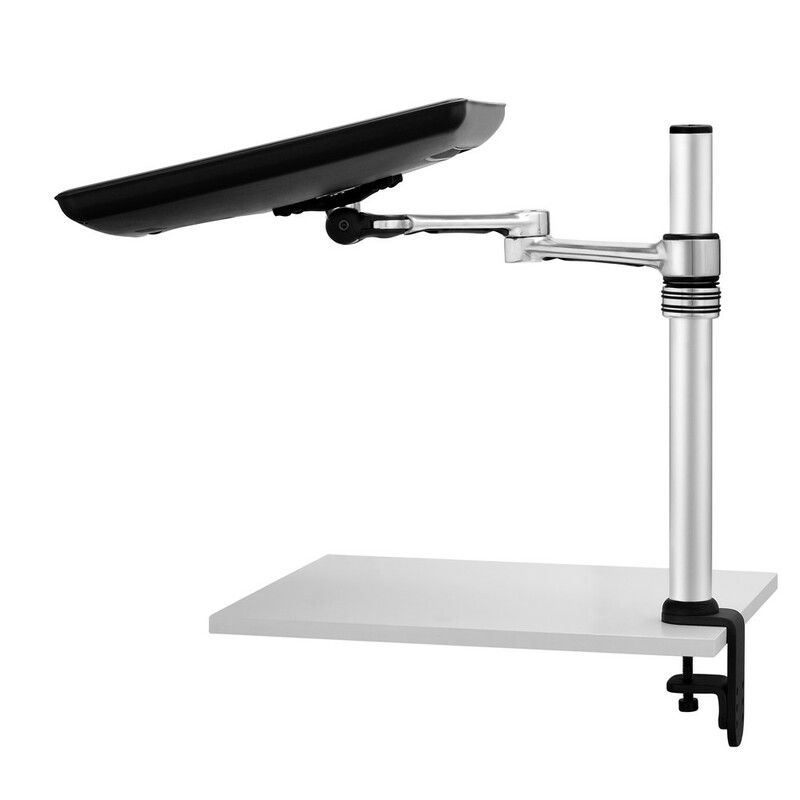 The optimum viewing angle can also be achieved with a 70° up and 70° down tilt, and pan of 180°. Cables are cleverly managed for a clean look and to reduce clutter. Upgradable to carry additional notebook. 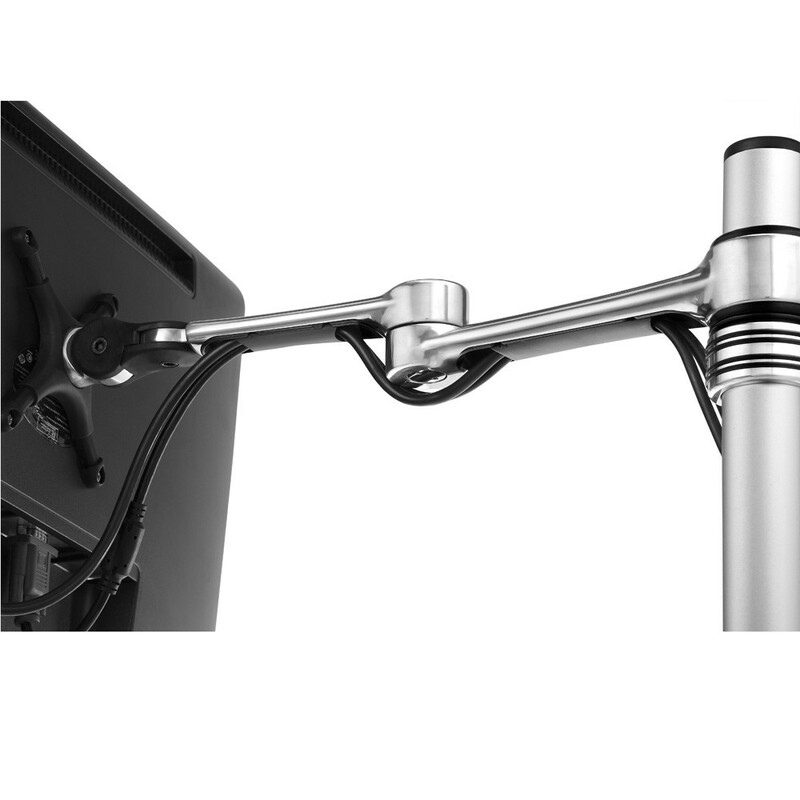 Mounting type - Bolt through, Desk clamp. 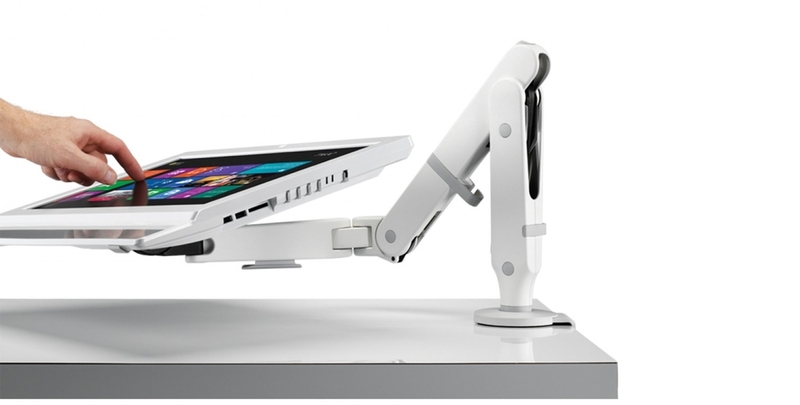 Maximum arm reach - 413 mm. 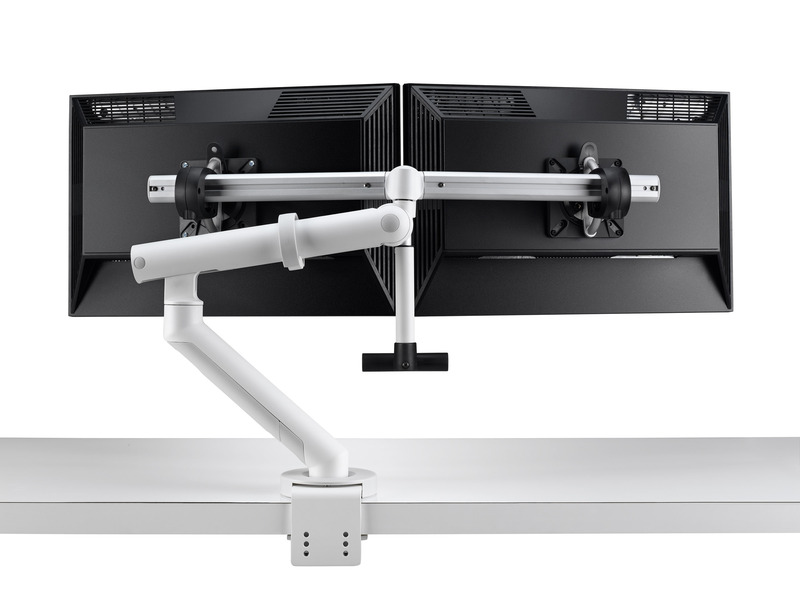 Maximum supported weight, per display - 8 kg. VESA mounting hole pattern - 75x75, 100x100. Tilt adjustment 70° downward and 70° upward, pan adjustment 90° left and 90° right.